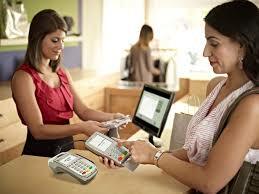 Get more of what you want in a countertop payment device with VeriFone VX520 Counter Top Terminal. Delivering unprecedented performance, lighting-fast speeds and uncompromising security, this power-packed payment device works hard for your business. Engineered with features that move more transactions and open more revenue opportunities, VeriFone VX520 Counter Top Terminal takes transactions to a more profitable level. The VX520 Counter Top Terminal is a reliable, rugged countertop device that’s built to last. It handles encryption, decryption and processing at lightning speeds thanks to its powerful processor and expandable memory. Integrated NFC capabilities support alternative payments and also supports value-added applications such as loyalty or gift card acceptance. A full range of connectivity options, from dial to dial plus Ethernet, with an optional battery allows the VX520 Counter Top Terminal to go wherever you go. A uniquely designed communication port area underneath the device keeps countertops neat and free of clutter. Get more out of your investment – the VX520 Counter Top Terminal delivers performance, reliability and long-lasting functionality.